Just in time for the 200th anniversary, Manga Classics brings Jane Austen’s classic tale of youthful folly and romantic exuberance to a modern audience with this beautiful new manga adaptation of Emma. 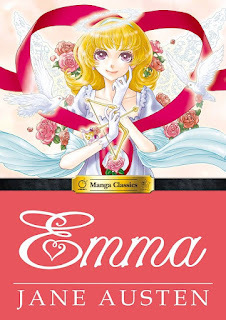 When her former governess finds happiness as the bride of a local widower, the brilliant and beautiful Emma Woodhouse — one of Jane Austen's immortal creations — flatters herself that she alone has secured the marriage and that she possesses a special talent for bringing lovers together. The young heiress next busies herself with finding a suitable husband for her friend and protégé, Harriet Smith, setting off an entertaining sequence of comic mishaps and misunderstanding in this sparkling comedy of English-village romance. Beneath its wit, the novel is also the story of a young woman's progress toward self-understanding. The impulsive match-making of Emma Woodhouse delivers both humor and heartache through the gorgeous artwork of master artist Po Tse. This book is a great twist on a wonderful classic! My favorite character is Harriet because she is super kind. The only downside is how much she cares about other people's opinions. My favorite scene is when Emma and Mr. Knightley get married because everyone is finally happy and there is no more drama. I recommend this book to anyone who would like a creative take on a classic. I give this book 4 out of 5 stars and recommend it for ages 11 and up. Robert has a big imagination. He imagines there are scary things everywhere. So when he goes on the ghost train, his friends are certain he'll get a real fright! But then Grandpa Jim lets him into a big secret, and guess who's afraid now? I liked this book, it was really good. Do you know why it was so good? It was because I used my imagination! 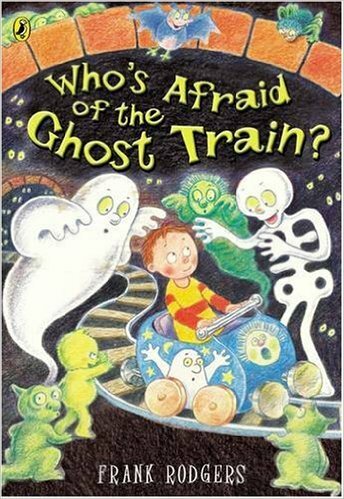 This book is about a little boy who imagines monsters, but then he goes on a train and isn't scared. I give this book 4 out of 5 stars and recommend it for ages 5 to 8. Ivy In Bloom captures the weariness of a young girl tired of a long winter. ""I stare out the window,"" she says on the first spread of brown and gray, ""looking for birds or flowers / or even warm showers / but I don't see any such thing."" But then Spring comes when ""March is out of breath snow melting to flowery waters and watery flowers spring rose from its wintry rest."" And Ivy's ""heart dances with daffodils."" As these words also dance across each spread, Ivy's world erupts into a riot of color. 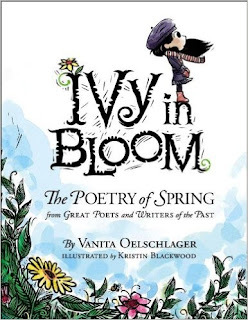 Ivy In Bloom introduces the poetry of Dickinson, Longfellow, Browning, Wordsworth, Frost and others. Excerpts from their writings, as seen through Ivy's eyes, will open up poetry as a way for children to express their own feelings about the changing of seasons. This book includes longer excerpts and brief bios of each author. I loved this book because I love the weather and it talked about the weather a lot. I love the seasons too and it had beautiful poems about the four seasons. Ivy wanted it to hurry and be spring, but it wasn't spring yet. I give this book 5 out of 5 stars and recommend it for ages 5 to 7. "Hurry up! You may only go to bed when all the sheets are ironed." Little Coco grew up in the orphanage and had to work hard for a living sewing and embroidering like an angel. Until her eighteenth birthday . . . Coco knew one thing for sure Coco. She would never, never be poor again. 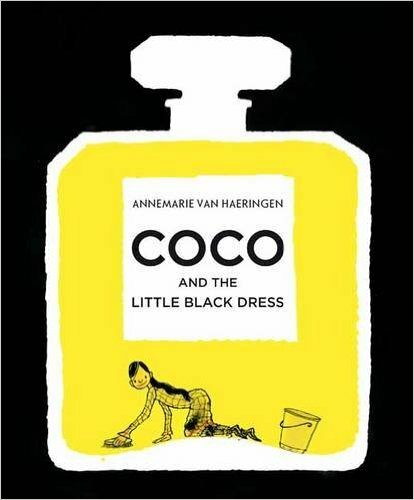 A beautifully illustrated picture book biography of Coco Chanel. Coco Chanel (1883-1971) was a famous French fashion designer. Born into a poor family, strictly brought up in the orphanage, influenced by the style of wealthy suitors, she remained faithful throughout her life to the simplicity. A luxurious simplicity, which has produced memorable style icons like the little black dress and perfume Chanel No. 5. This book is wonderful at summing up one of the greatest fashion designer's life. My favorite part is when all the ladies come to Coco for her designs. I love Coco's little black dress! I recommend this book to any reader who likes inspirational stories and fashion. This book's publishing date is today, September 30, 2015. My name is Ambra Alessandra Leola Kimiko Miyamoto. 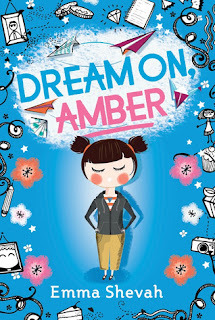 As a half-Japanese, half-Italian girl with a ridiculous name, Amber's not feeling molto bene (very good) about making friends at her new school. I really enjoyed this book! Amber loves art, but is missing something (her dad). I liked the fact that Amber was able to overcome and get through everything with art. I, myself, am an artist and use art to express my feelings and help me out when I am sad, mad, etc. My favorite character is Amber because she is strong and helps everyone. My favorite part is Amber's sister's birthday party. I recommend this book to every tween girl that needs an enjoyable story about a girl that has grit and can preserve through anything. This book's publishing date is October 1, 2015. "Girls Succeed: Stories Behind the Careers of Successful Women"
Get those entries in! You will love these books and all three can be used in a classroom or homeschool environment as well. Also great for school libraries! Please stay tuned because new giveaways will be posted soon! How would a small town--well-ordered and supremely manicured--look after invasion by a horde of pink-slippered "Slicers and Dicers" who cause the townspeople to hide all their cutting implements? And then--how does life go on when nobody can cut anything at all? 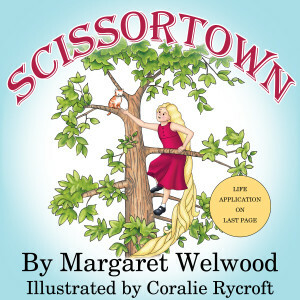 Although it is pure fantasy, "Scissortown" was written for another purpose besides entertainment--promotion of kindness and initiative in young children. I liked this book, it was pretty good. This book is about how everyone in a small town uses sharp things to get jobs done (like cutting hair, chopping vegetables, opening cans, etc. ), but then a group called the "Slicers and Dicers" come and cut up or dice everything and the town is left in a mess! The townspeople decide to hide everything that is sharp so the "Dicers and Slicers" can't use them. They leave and then the townspeople forget where they hid everything! My favorite part was when the kids had long hair because I have very long hair and it reminded me of me! I give this book 3 out of 5 stars and recommend it for ages 5 to 8. From the moment they heard his booming voice, Santa’s parents knew their little one was special. After all, it’s not every child who is fond of the color red, is generous with his playthings and has an interest in chimneys. “Maybe he’ll be a firefighter,” said his mom. “Maybe he’ll be a scientist,” said his dad. When Santa Was a Baby is the adorably humorous portrait of a one-of-a-kind kid who grows up to fulfill his destiny — with the support of two very proud parents. I loved this book! It was absolutely amazing! 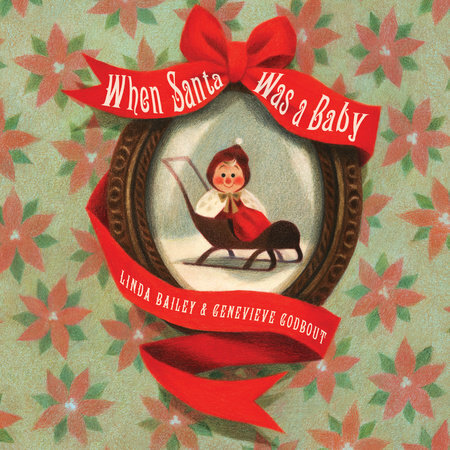 This book is about when Santa was a baby. He was so cute and adorable! Soon it was his birthday and he wanted things like horses except they were actually reindeers that he wanted. He loves reindeers and he knew what he wanted to be when he grew up. My favorite character is Santa because I LOVE Santa and the gifts he leaves for me at Christmas! I could really imagine Santa as a baby in this story. I give this book 5 out of 5 stars and recommend it for ages 5 to 8. This book's publishing date is October 13, 2015. 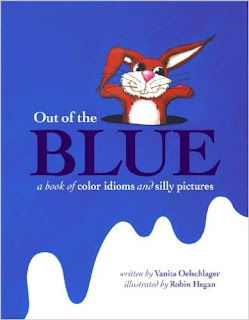 Out of the Blue shows children the magic of idioms - words that separately have one meaning, but together take on something entirely different. Children are curious about words, especially phrases that make them laugh ("Tickled Pink"), sound silly ("Shrinking Violet") or trigger images that tickle a child's sense of the absurd ("A Red Letter Day"). Out of the Blue uses outlandish illustrations of what the words describe literally. 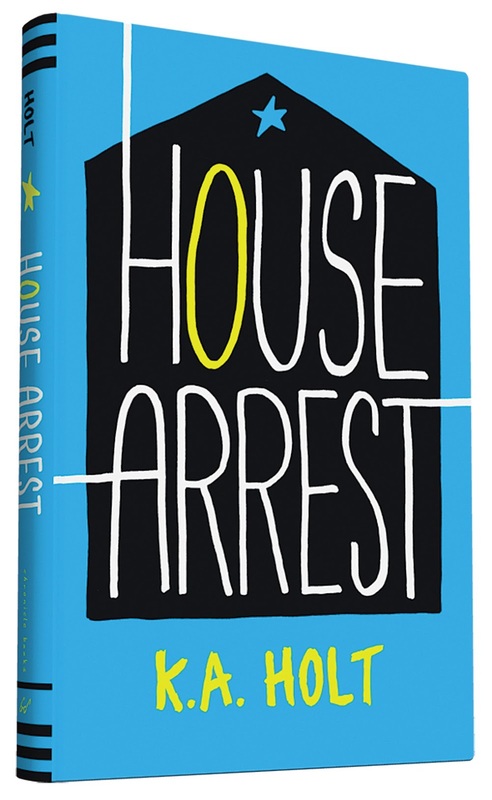 I liked this book because I love bright, vibrant colors and this book had a lot of color! I learned about color idioms too! My favorite picture/color in this book was the pink part because pink is my favorite color! I give this book 4 out of 5 stars and recommend it for ages 3 to 6. Louise Courey Nadeau[/caption] Passionate about empowering and inspiring children around the world, Louise Courey Nadeau, born and raised in Montreal, Canada, and mother of two girls and two boys created her first fairy tale Magelica's Voyage, with the second book in the series, The Rescue, launched June 2015. "Through life's trials and tribulations, I always believed I could. With the Magelica book series my goal is to take young girls and their parents and teachers on empowering adventures and to inspire and encourage them to believe that they are amazing just the way they are, and to discover the power of love, positivity, and believing in themselves. "Magelica's Voyage is inspired by my life, my family, and the special people and places I love", says Courey Nadeau. 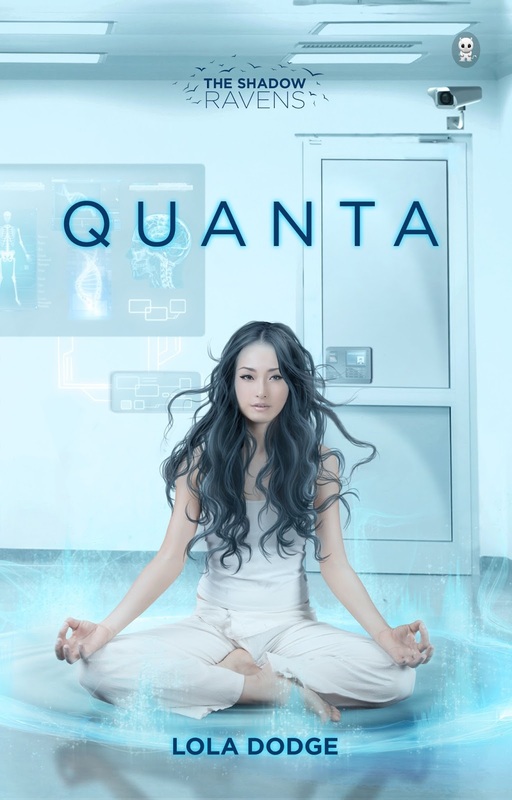 "All of the characters in the story, including Magelica are reflections of the person I am- the wacky part, the funny part, the philosopher, the teacher, the caretaker, the chosen mom, the giver, and of course the dreamer. What would Magelica do, I often ask, and I get the answer. When you fly with Magelica, the possibilities are endless and there is magic all around." To read her blogs and learn more about Louise Courey Nadeau please visit Magelica's Voyage website at Magelica.com. You can also follow Magelica on FB, Twitter, Instagram, and Pinterest. I really liked this book! It was a sweet and wondrous fairy tale about love, believing in things and a new world on a sea turtle's back! Magelica has always wondered who she really is. Who are her parents? Where is she from? And other questions like that. When Magelica comes home from a thunderstorm she wants to take a bath, but soon she discovers her feather necklace is gone! Then she finds herself taking a wonderful adventure in her bathtub! Magelica's adventure involves love, an island on the back of a sad unmoving sea turtle and a new fairy! My favorite part of this book is when Magelica makes the turtle happy again by singing her favorite song. I love this book sooooooooo much from the story to the illustrations. I want to read it again and again! I give this book 5 out of 5 stars and recommend it for ages 7 to 9. The second book is such a lovely book about believing in yourself and being happy. When Magelica has a dream about a lost prince, Will, she goes back to the Isle of Dreams. Magelica needs to believe in herself. When Magelica rescues Price Will they feel instantly connected. I love this book because all of the amazing characters and the turtle's world. My favorite part of this book is everything. This book was great from start to finish and I highly recommend it to other little girls that need a little bit more confidence or that love stories like this! I give this book 4 out of 5 stars and recommend it for ages 7 to 9. 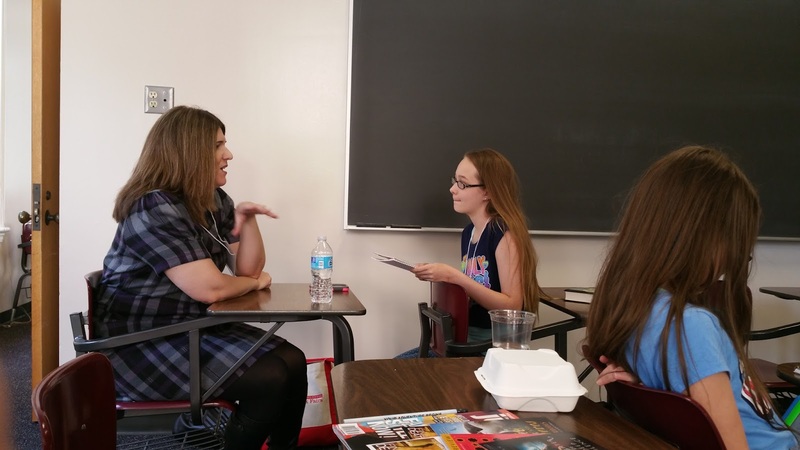 On Saturday, September 26, 2015, we had the chance to be a part of the media at the Texas Teen Book Festival where there were many great authors! We also were given our first chance to do some real live face to face interviews! Arianna interviewed Jenny Martin, the author of Tracked. 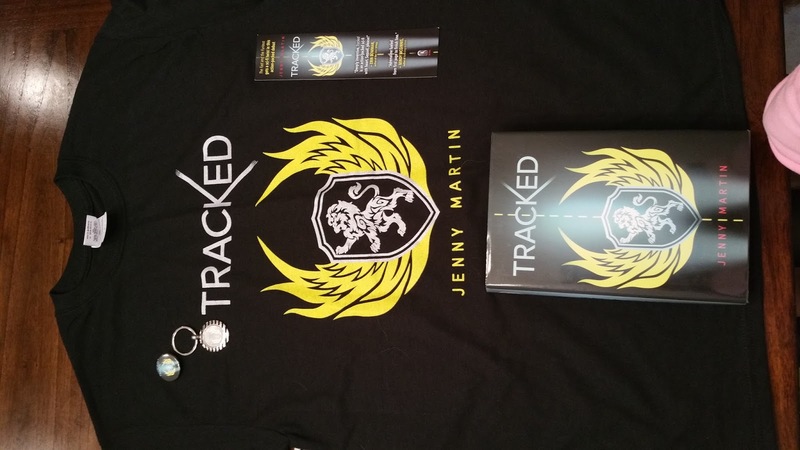 You can find Arianna's review of Tracked here. 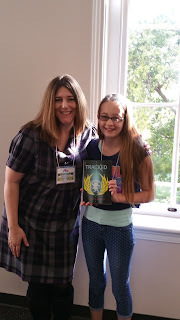 While not only getting to interview Jenny Martin, Arianna also got her copy of Tracked signed and was given a lot of great swag from Jenny. Okay, now on to the interview. 1. 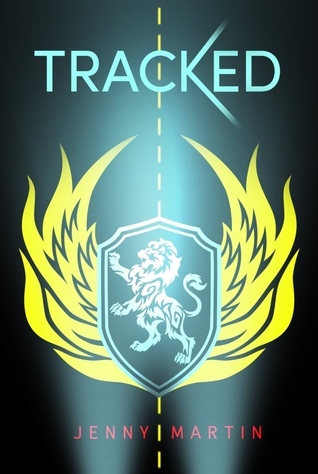 Is there going to be a sequel to Tracked? If so, I would love to read and review it for you! There is a sequel to this book. It's called Marked and it's coming out May 17, 2016. The cover hasn't been released yet. 2. How long did it take you to write Tracked? Well, when I first drafted Tracked it didn't take me long to do the first draft. It took a long time though to revise it and get it to where it is in the finished version. Maybe less than a year to draft it and then a little bit longer to revise it. 3. Who is your favorite character in Tracked? Why? You know, I think I love Bear because, I know he seems quiet and he doesn't say too much, but still waters run deep. I think he has a deep abiding sense of love and loyalty. The people that matter to him, he would die for them. He would do anything and I think that's a really admiral thing. 4. What is your favorite scene in Tracked? Why? Either the race at Sandridge, the big race. Also, I don't know if its my favorite, but the scene after that race with Bear. That was hard, like I cried. It was hard. 5. What was your inspiration for Tracked? Well, there are lots of inspirations! You know I grew up loving Star Wars and sci-fi. I loved it, loved it, loved it! Then I saw on TV a documentary on HBO called "Hot Coffee". It was about how corporations can sometimes control things behind the scenes or abuse/exploit things. Then I saw a Jason Statham movie called "Death Race 2000" with fast cars. So I think all together those were the inspirations. Also, Phee came to me almost like a full character. I was in this hard time when I was feeling really timid, really beating up on myself. I really didn't think I could do anything at all. Then all of a sudden there's this girl who's like "I can do anything, I can race through it, I can just slam in to anything and take care of it" and I think it was fun to do that. She is special to me. 6. Who is your favorite book, character, or author in general? In general now as an adult, I really, really like two authors. I really like Neil Gaiman who wrote The Graveyard Book, Neverwhere, and The Ocean at the End of the Lane. I read anything he wrote and Coraline and Stardust. I also really love Victoria Schwab. She wrote The Near Witch. She wrote The Archived Series and she wrote two books for adults, Vicious and A Darker Shade of Magic. She has beautiful writing and I love her books. You know, as a kid I wrote a lot of stories and bad poetry as a teen. Then I stopped, but then as an adult, once I became a librarian, I started writing in 2008. I wrote three books before Tracked and then Tracked was the one that was published. 8. What is your favorite color? Food? I kinda have 2 [favorite colors]. I think my favorite color is red. I love red, but I tend to wear black a lot because its just easy and my go to color. I like green too, but red and black probably. I love sweet and salty things! Things like chocolate covered potato chips and pretzels, Carmel corn, anything that is sweet and salty. --Thank you so much Jenny Martin for allowing Arianna to have a face to face interview with you and we enjoyed meeting you! You are an amazing writer and Arianna cannot wait to read your next books! This book was magnificent! I absolutely loved it beyond description! My favorite character is Phee because she can do anything. She has a girl power that is unstoppable. My favorite scenes are the races because of the amazing detail and thought that went into the descriptions of these amazing scenes! I recommend this book to any reader who likes a good adventure, sneaky schemes and a wonderful heroine. Really, my review cannot give this book the justice that it deserves. 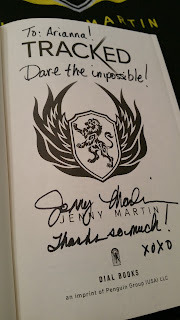 Jenny Martin is absolutely incredible with this book. 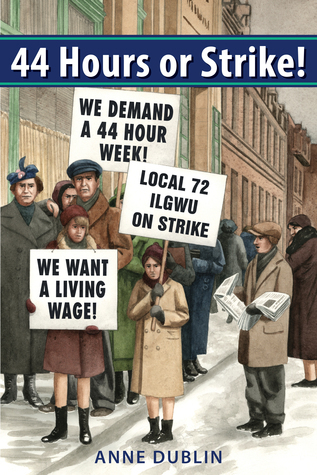 Barely into the strike, Rose is imprisoned after a fight in a picket line, leaving fourteen-year-old Sophie to take care of their ailing mother at night and spend her days protesting in the freezing wind. Rose’s isolation in prison weakens her resolve for change. Will they be able to continue the fight for what they once so strongly believed in? This non-fiction book is a great story! It is very sad and nerve racking in some parts. Rose is a 16 year old Jewish girl and her sister Sophie is 14. Since their father died, they both had to get jobs making fancy clothes for low wages with extremely long work hours. When the Jewish union goes on strike for 44 hours to get 15% more on their wages, Rose gets put in jail and Sophie has to try to stay strong. Nothing is going right, but they need to keep going because Rose, Sophie and their mother want everything to go back to normal before Passover. In this powerful non-fiction novel you experience determination, love and strength of the marvelous characters. My favorite part is when Sophie and Jake touch hands. My favorite character is a tie between Rose and Jake because they show great strength and I admire them for that. I recommend this book to all non-fiction lovers! I would love for you to comment on this book because of the effects that it had on me. Please and thank you! 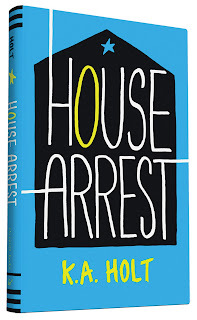 This book's publishing date is October 6, 2015. Wow! This book left me speechless. It was absolutely wonderful and I love how realistic it is! The story is amazing! It shows how a modern day 12-13 year old boy might be feeling and thinking in the situation Timothy has found himself in. My favorite character is Timothy's mother "Annie" because she takes care of her family at all costs. She always finds a way of making things work. She never gives up and she never says she can't do it. My favorite scene is the carnival because everyone is happy and having a great time. I recommend this wonderful book to any reader who enjoys a good story. This book was okay for me, not really the best I've read because they go back in to the past too many times for my liking. However, my favorite character is Quanta because her life is so hard, but she still remains strong. My favorite part is when they finally break out. Now don't get me wrong, this book was good and I recommend it for anyone that likes fantasies and going into the past. I give this book 3 out of 5 stars and recommend it for ages 11 to 16. 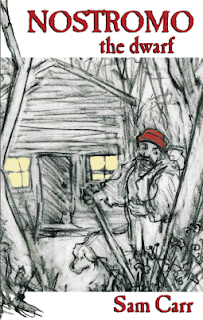 A young father gets lost in the mountains and meets a mysterious stranger and his dog. Nostromo the Dwarf is a rough man with good manners, a bad temper, and the ability to talk to animals. He tells the young father the wondrous tale of his perilous trip to the mountains in the colonial past, of a ghost and storms and deserted islands and abandoned riches and creating a new life in the New World. But where is he from and why is he here? This book was great because it took me on a wonderful journey! I really like all of the characters and couldn't pick just one favorite. My favorite scene in the book is when Nostromo helps Minerva because it is super sweet and makes me feel happy when I read about his good deed. I recommend this book for any readers who love adventures. I give this book 3 out of 5 stars and recommend it for ages 10 and up. This book's publishing date is November 11, 2015. This giveaway is awesome! 10 winners, yes I said 10, will receive an autographed copy of Silly Willy Winston in the Adventures of Super Snout Have No Fear by Donna M. Maguire. Winners will receive their book directly from Ms. Maguire! Angelina reviewed this amazing book here. Meredith and Marina’s lives have been flipped upside down. When the translucent skirt that straight-A-student Meredith finds hidden on the beach gets wet, it transforms her legs into a mermaid tail. Despite the evidence in front of her, she insists that becoming a mythical creature isn’t scientifically possible. Marina is allowed to experience one day per moon cycle among the humans. After hiding her tail on the beach that morning, she takes her first timid steps on land. When she returns at sunset to find it missing, she is left stranded and alone. For the first time in her life, Meredith doesn’t have all the answers. 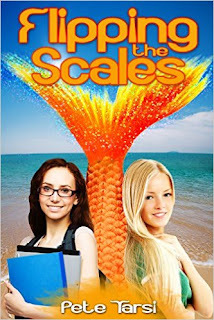 As she searches for a way to return to normal before the next full moon, she makes waves among the school of mermaids. Meanwhile, Marina uncovers information about her past, and for the first time in her life, she must stand on her own two feet and take the lead on her own adventure. As Meredith senses her human side slipping away, a forbidden way to change back entices her. But it comes with a consequence: Marina wouldn’t be able to return to the ocean. This book was extremely touching! I like how the characters never give up, they persevere through the journey. My favorite character is Hailey because she does all she can to help her friends. When everyone else lost hope, she held her head high and fixed the problems. She has an amazingly pure heart that I love! I have to say, my favorite part is when Marina finds out her mother is on the mainland because it makes me fill with warmth. I feel like I am sitting in front of a fireplace wrapped in a cozy blanket. I am super happy because one day Marina might find her parents. I recommend this book for readers who like amazing fantasies, magnificent examples of true friendship, and unforgettable journeys. I hope you enjoy it as much as I did! 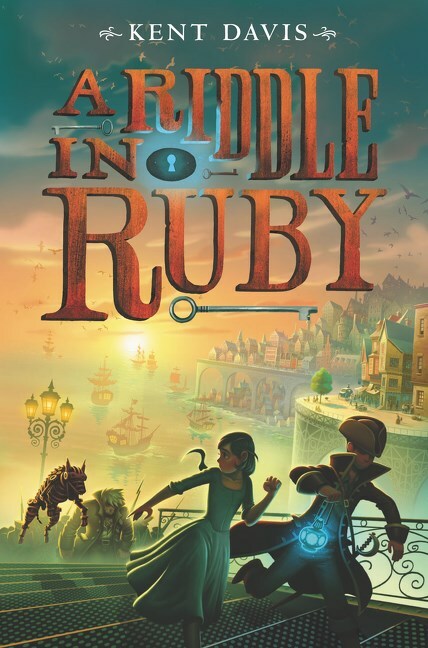 Ruby is a thief-in-training and a keeper of secrets—even secrets she herself doesn’t know. In a whirlwind of action and humor, she careens through an alternate colonial America, both hunting for answers and being hunted. The first book in a witty and fast-paced fantasy-adventure trilogy for fans of Jonathan Stroud, Septimus Heap, and The Very Nearly Honorable League of Pirates. Ruby Teach, daughter of a smuggler and pirate, has been learning how to swindle and steal and pick the most complex locks for as long as she can remember. But a collision with aristocratic young Lord Athen sends her spinning into chaos. Little has she known that her whole life has been spent in hiding from nefarious secret societies and the Royal Navy . . . who are both now on her tail. 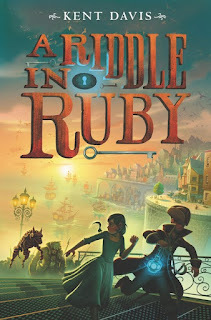 In this debut middle grade adventure, Kent Davis weaves a rip-roaring tale through an alternate colonial Philadelphia, a world where alchemy—that peculiar mix of magic and science—has fueled the Industrial Revolution. With this highly original setting, a cast of fully rounded characters and rapid-fire, funny dialogue, A Riddle in Ruby will call to mind fantasy greats like Diana Wynne Jones and Terry Pratchett. The first in a trilogy. I LOVE this book!!! If you like fake pirates, impostors and people who turn in to objects, then you will also love this book! My favorite part is when Ruby meets Lord Athen because she is scared that he will find out that she was dressed up as a boy and trying to rob him and he cut her under the eye. My favorite character is Ruby because she is strong and doesn't give up easily and that reminds me of myself. This book has a cliffhanger in every single chapter! I give this book 5 out of 5 stars and recommend it for ages 10-12. This book's publishing date was September 22, 2015. In her hand, she holds a mirror, a big, round, silver one with a long handle. It’s beautiful. There’s a mirror over the sink, of course. Maybe she’s trying to see the back of her hair. But no. As I stand there, staring, she speaks. Celine’s life is the stuff fairy tales are made of. She’s beautiful, talented, and brave. Unfortunately, her tale comes complete with a wicked stepmother! When Violet steps into Celine’s life, everything changes and weird things begin to happen to her—bizarre accidents, strange illnesses, and rabid animal attacks. Celine doesn’t feel safe anywhere. It’s almost as if some hateful witch is out to get her. And there is. Violet has been waiting all her life to have Celine’s father to herself. Getting rid of his gorgeous daughter is child’s play for a witch as powerful as she is. Happy-ever-after isn’t enough for Violet. She wants to be the fairest of them all, and Celine is in the way…but not for long. Forced to take refuge with her friend Goose and his family, Celine gives up everything she loves and goes deep undercover. 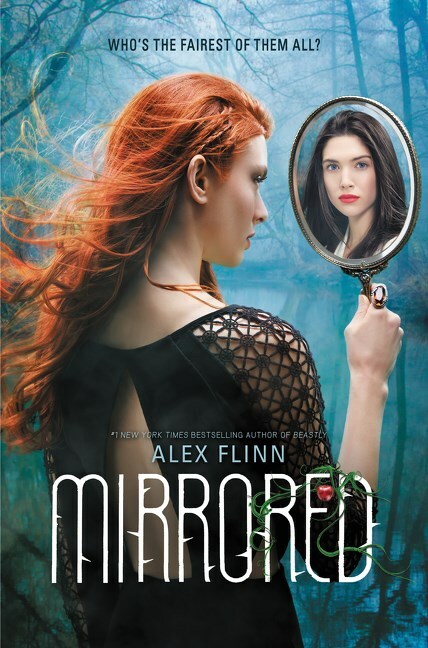 But will it be enough to fool Violet, or will Celine’s fate be decided by a reflection in a magic mirror? And where do you find Prince Charming in Miami anyway? Brilliant! This novel is a fractured Snow White fairy-tale. 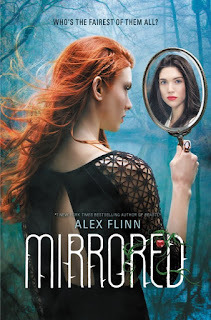 Once you read this book, your whole perspective on Snow White will literally change with Alex Flinn's powerful descriptions, suspenseful action, and the way each chapter captures you with its mystery. Usually I would tell you a sneak-peak into the book, but this book is so exciting that telling you about it would ruin it! All I have to say is that Goose is my favorite character because of his loving soul and humor. I recommend this book to the fairest of them all! This book was truly one of a kind! I give this book 5 out of 5 stars and recommend it for ages 12 and up based on a few inappropriate parts for younger readers! This book was published on September 15, 2015. BOOK REVIEW: Ahoy Gum Drop! by M.M.